I am not sure, but I may be angering the blog gods somehow by posting another set of photographs from the Jason and Katie wedding. I am just not sure if the rule is “one and done” or not. But if the purpose of blogging, as I have been told, is to help garner clients and build my wedding photography business, then I have to post what I want that highlight the import aspects of my photography. So I have concluded that “it’s my blog and I’ll post what I want to!” – with apologies to Leslie Gore. I conscientiously decided to make a two part post out of these photographs, because as the reader will see, they just didn’t fit together on the same page. The first set of photographs I posted from the wedding are the more traditional, conservative types of wedding shots, the type that everybody loves and expects out of their wedding photography package. This next series of shots can be classified as “candid” or “journalistic”. 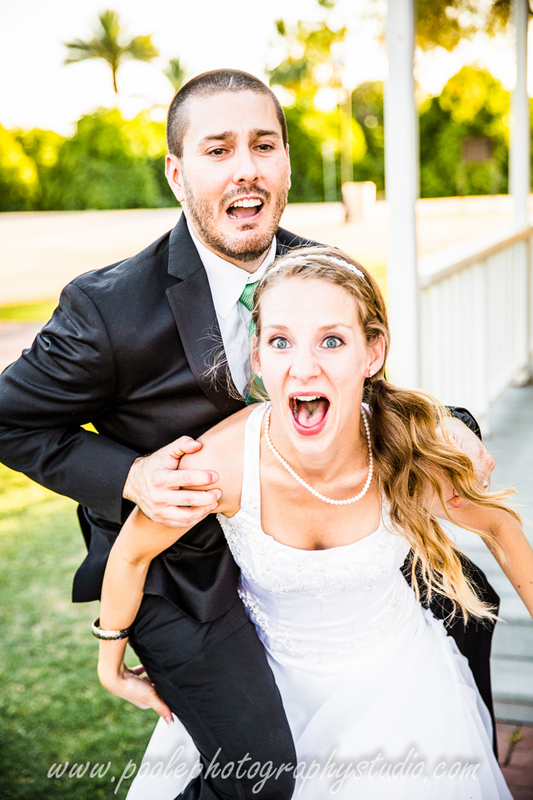 These are the images that we as wedding photographers try to take in order to remind the bride and groom of the great time they and everyone else was having that day. At these times I see myself as a reporter recording all of the little mini-events that occur over the many hours of a typical wedding day. The first type of photographs are the images that people look at and tell the bride how beautiful they are and the groom how handsome he looked that day. The second type of images are the ones that evoke emotion – a laugh, a tear, a remembrance of a touching moment. The first look. The first dance. 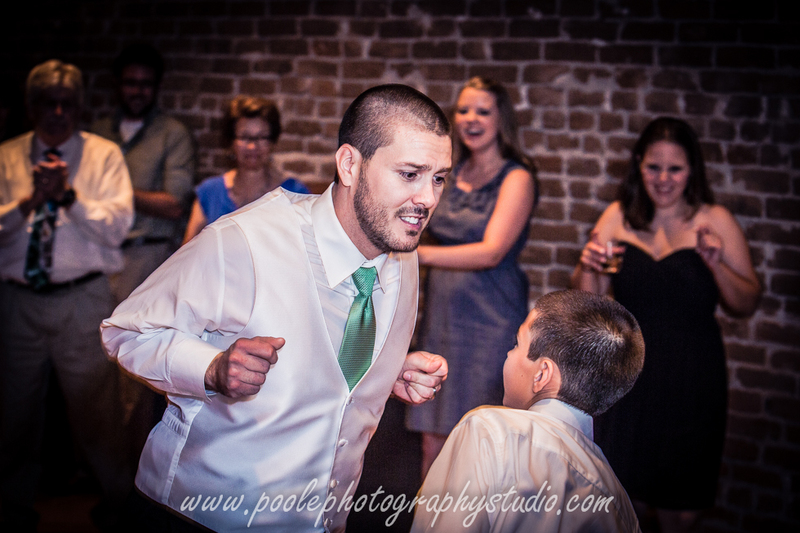 The father dancing with his newly married little girl. The mother dancing with her son, no longer a boy, but a fine young man. My over all impression of this wedding as the couple planned it was they were going to have fun and do it in their own way and in their own style. The theme of the wedding was soccer as it was at a soccer tournament that Jason and Katie randomly met. 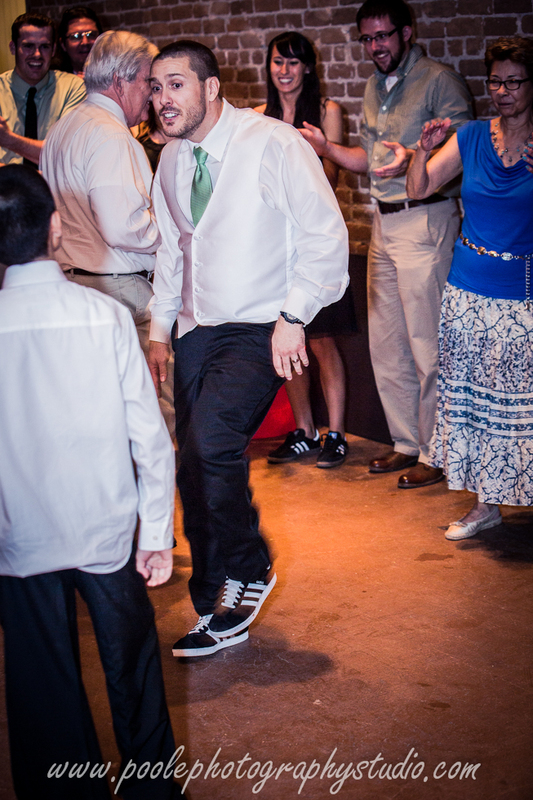 The wedding party wore soccer shoes. The wedding march was not the traditional “dum dum de dum..” tune, but some soccer pre game warm up song. Now Katie and Jason did embrace many traditional aspects of the wedding ceremony, but they added enough of their own personality to the proceedings to make wedding uniquely theirs and uniquely fun. I include for your consideration two series of photographs as examples. The must have photo list: the first look, the first kiss, the first dance, the first attempt of the bride and groom to kill each other. The first shot of the attempted piggyback ride. All seems well. A tale of two looks. Jason is now putting on his “for the camera” smile as I take the shot. Katie’s face says something entirely different. At this moment the reality of the situation has finally coalesced itself in Jason’s brain and his expression reflects what his brain has just figured out. I am happy to report that no brides or grooms were hurt in the filming of this production. Fortunately nobody face planted into the hard surface of Sahuaro Ranch Park. From a photographer’s prospective, I doubt they are going to enlarge this photograph and hang it on their wall as fine art. But on the other hand, it is Jason and Katie, and they just might. But I am pretty sure every time they see these photos they will remember and get at least a little chuckle of a memory. 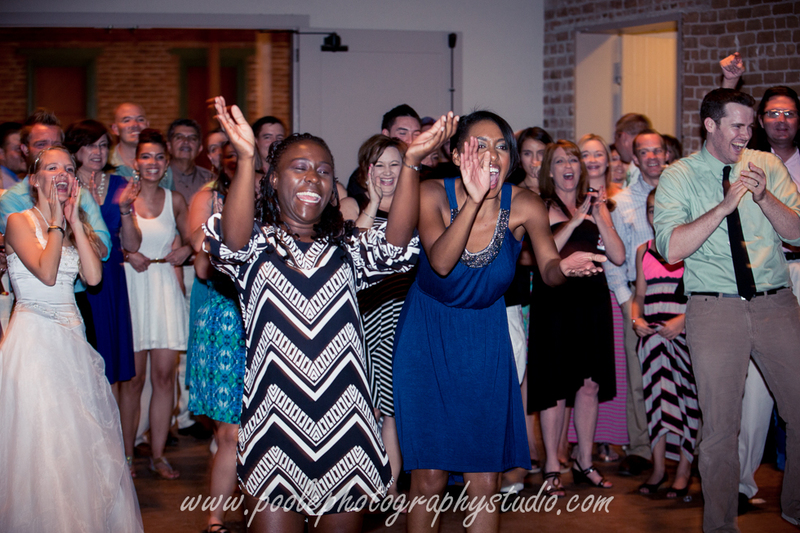 Many great, memorable moments happen at the reception. 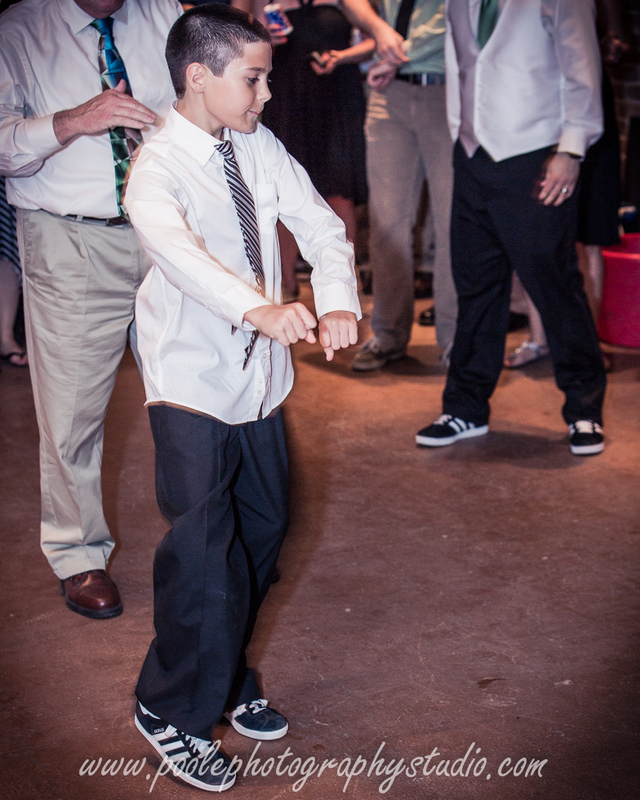 But how many receptions have the son call out the dad and granddad to have a dance off…winner take all? This one did. Andrew put out the challenge and it was gladly accepted by the older Hyatts. “let’s see what you got!” Andrew, Grandfather Hyatt and Father Hyatt open the ball, surrounded by an enthusiastic crowd. Like fighters going 15 rounds, neither father or son gave an inch in this contest. IT’S ANDREW! 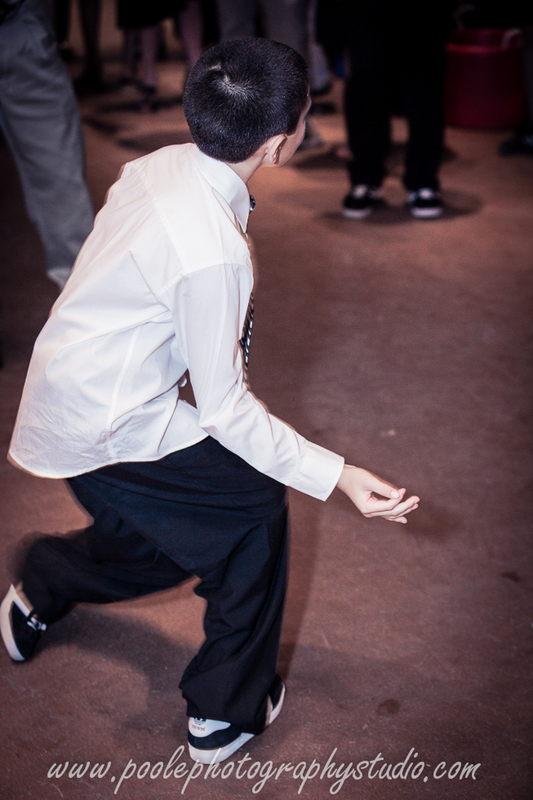 THE ONCE AND FOREVER HYATT WEDDING DANCE OFF CHAMPION! And so it goes. Another wedding done. Another blog posted. Another series of special images. I hope the reader has taken from these samples a sense of what this family is like and experienced through these images a bit of the magic of the day. I again want to thank Katie and Jason for allowing me to photograph and share the images of your special day. And I got to think the blog gods are smiling right about now. looks like so much fun! Love seeing couples having a great time on their wedding day. They look like such a fun couple! And I am impressed that she can hold him!! 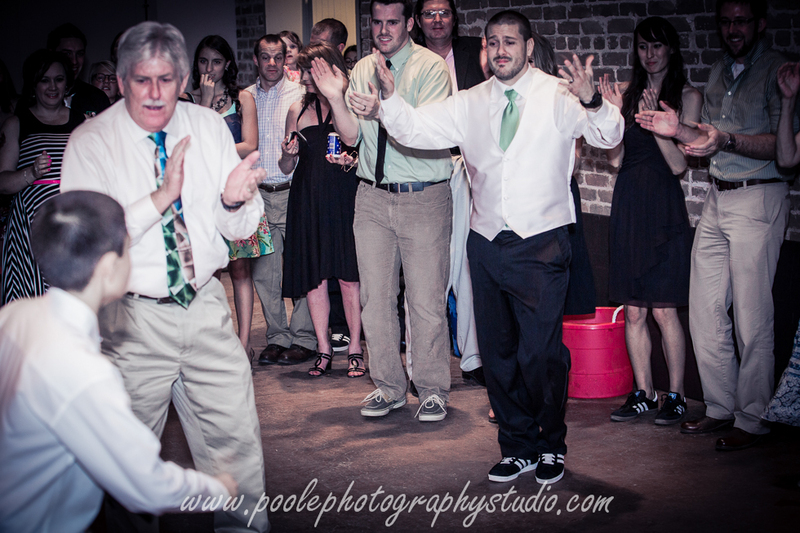 What a fun wedding! I bet you had a blast photographing it. 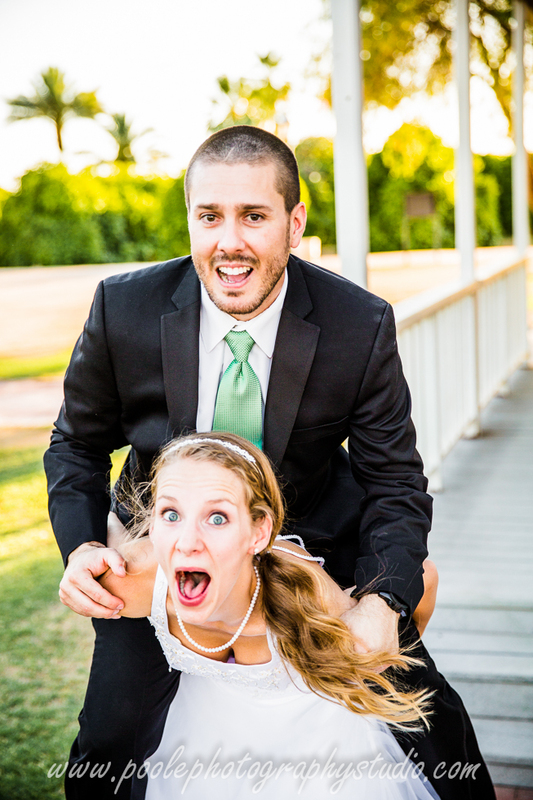 This looks like such a fun couple and a fun wedding! Awesome job! When the wedding party chooses to wear soccer shoes, you know you have a fun couple and a fun day ahead of you.